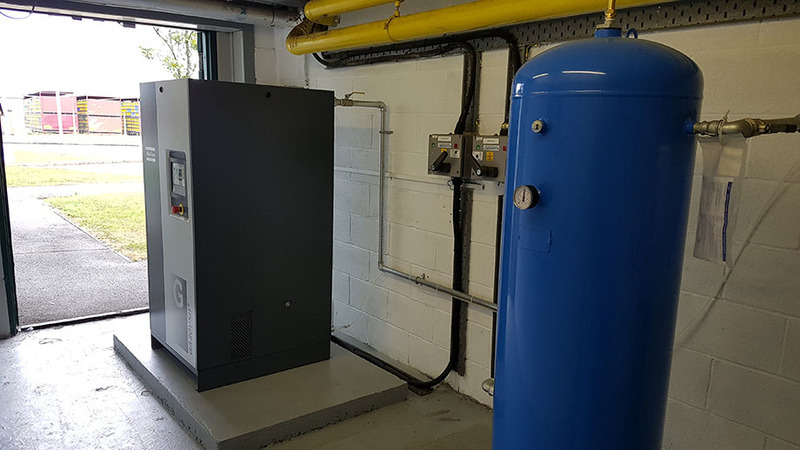 A manufacturing facility in Anglesey is enjoying substantial energy savings coupled with a high quality compressed air installation, thanks to their partnership with Precision Pneumatics. 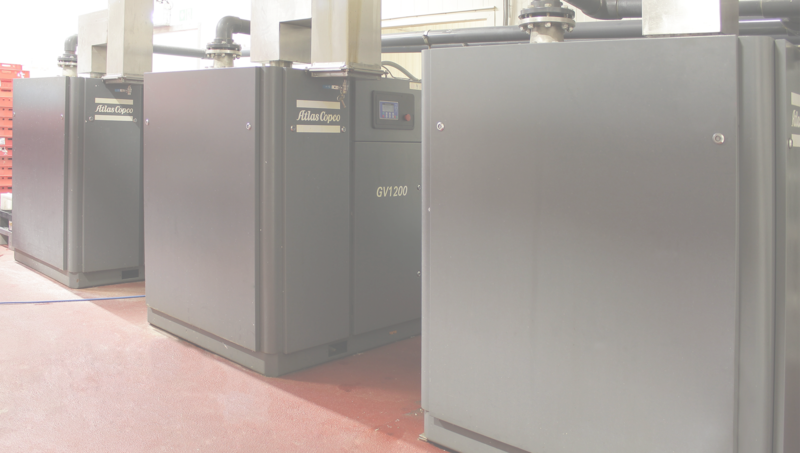 We were able to use our energy monitoring tools to identify that the two fixed speed air compressors the client already had on site were oversized and that their needs would be best served by a new 37kW Variable Speed Drive compressor from Atlas Copco. 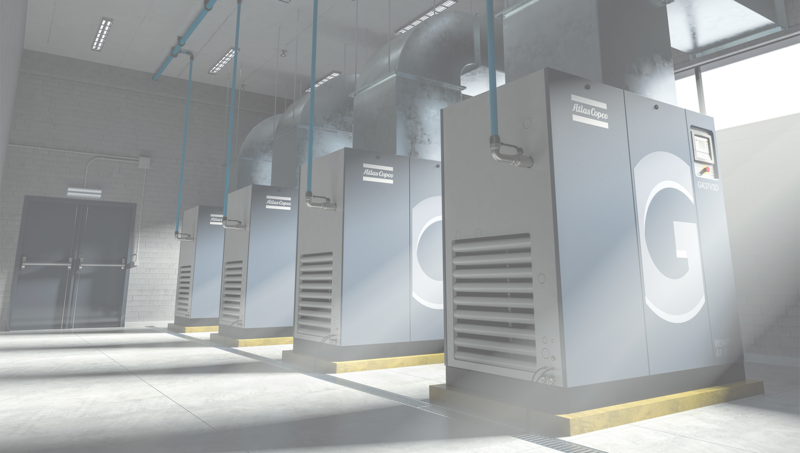 The best-in-class Variable Speed technology developed by Atlas Copco allows our customers to respond to peaks and troughs in their production, meaning that the compressor only produces air when it is needed. This provides a reduction in energy consumption of up to 50% when compared with fixed speed equipment. Having helped the customer to identify the compressed air solution that best met the needs of their production process, Precision Pneumatics then installed their new equipment to the highest standards of workmanship, as can be seen in the image gallery below. Our team also undertook a programme of leak detection and rectification, ensuring that the new installation would work efficiently and delivering further cost and energy savings for our client. The customer also took advantage of our status as a Festo Premier Distributor to ensure that their pneumatic requirements were met by deploying a world-class solution. In total, Precision Pneumatics has delivered energy savings of more than £10,000 per annum for this customer through a combination of improved efficiencies, market-leading technologies and the skills and knowledge of our highly experienced team. 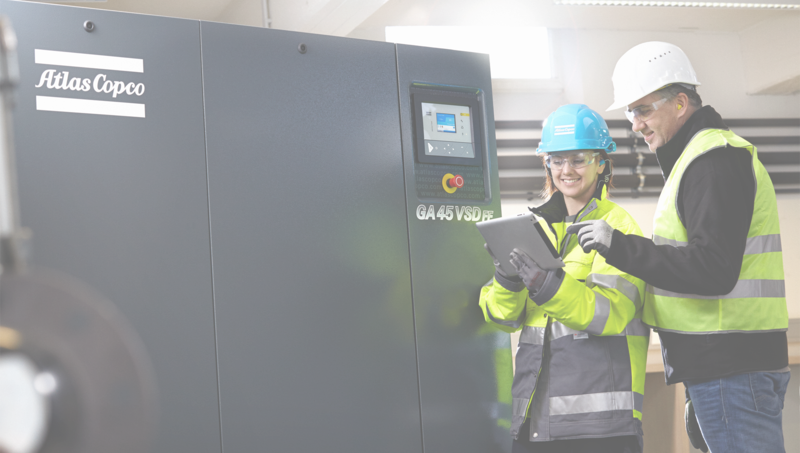 As the Atlas Copco Premier Distributor for Merseyside, the Wirral, Lancashire, Cheshire and North Wales, Precision Pneumatics is able to help businesses of all sizes drive down their energy bills and maximise production. As a Carbon Trust Approved Supplier, we can even help our customers access capital contributions towards new, more energy-efficient equipment through the Green Business Fund. To find out more about how we can help your business, contact us today or call us on 0151 546 6689.